Just before 10:00 a.m. this morning, January 20, 2018, a search and recovery Human Remains Detection dog team located the body of an adult female in the 100 block of Santo Tomas Lane near Olive Mill Road and above Coast Village Road. 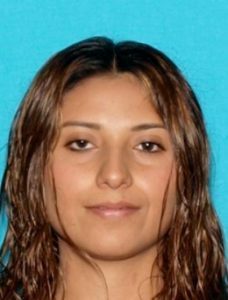 The Sheriff’s Coroner’s Office has identified the decedent as being 28-year-old Faviola Benitez Calderon of Montecito. Her family has been notified. The Sheriff’s Office wants to express our deepest condolences to the Benitez family, who were already mourning the loss of Faviola’s 10-year-old son, Jonathan Benitez and his cousin 3-year-old Kailly Benitez, as well as Kailly’s mother, 27-year-old Marilyn Ramos. Search and recovery teams, with the assistance of 16 Human Remains Detection dog teams, from throughout the state are working together this weekend in an effort to locate the missing victims and bring closure to their families. There are currently two people who are still missing, 2-year-old Lydia Sutthithepa and 17-year-old Jack Cantin. We continue to hold every one of these victim’s family and friends close to our hearts.